Birth date and place c. 1819 St Mary’s Limerick, Ireland. Physical Description Height: 5 ft. 7½ ins. Complexion: fresh. Eyes: blue. Hair: light brown. 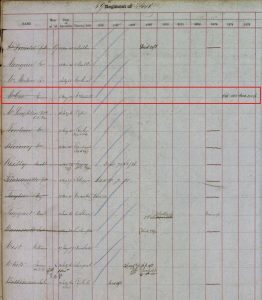 Death date and place 12 May 1876 [WO23-60]. Cause of Death: Drowned after capsize of Speculator. Burial date and place Mermaid Strait, off Dampier, Western Australia. Death Notices and Obituaries Inquirer & Commercial News 2 Aug 1876. Regiment No. and Rank #1140 Private. 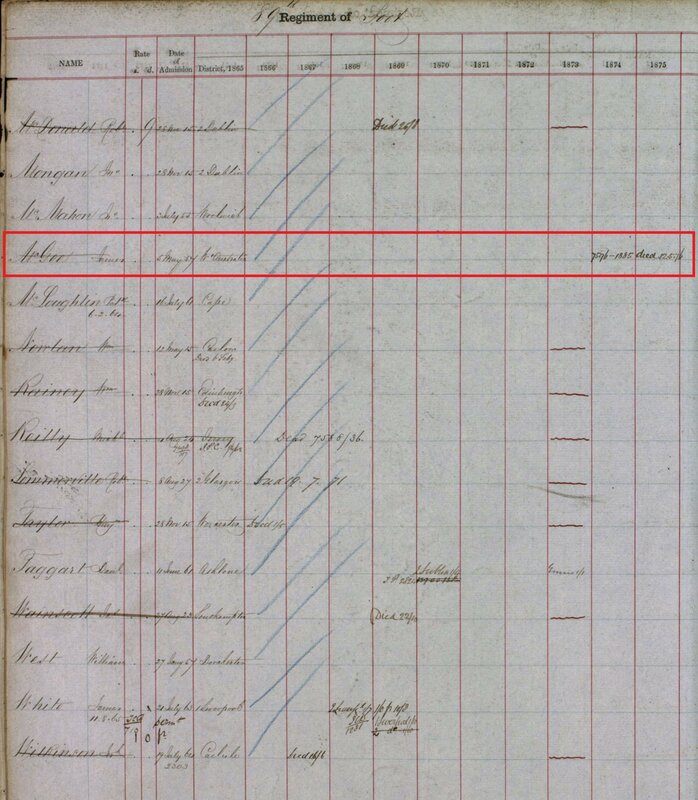 Attestation date and place 22 Apr 1837 Limerick, Limerick. Service/Campaigns West Indies January 1839 to June 1841 – 2 years 4 months. N. America June 1841 to April 1847 – 5 years 10 months. Gibraltar May 1854 to December 1854 7 months. 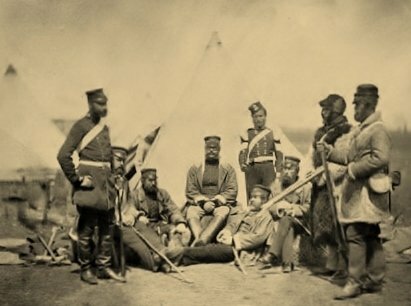 Crimea December 1854 to March 1855 – 3 months. Casualty/Medical This man is of delicate constitution and suffers from chronic diarrhoea. He is not likely ever to be an efficient soldier [Camp Colchester 19 Mar 1857]. He is unfit for further service, his general health being improverished [5 May 1857 Chatham]. Regimental Courts Martial *Absent without leave 16 Aug to 30 Aug 1837. Rejoined 2 Nov 1837. Tried and sentenced 10 days solitary confinement. Imprisoned 2 Nov 1837 to 18 Nov 1837. *Tried and sentenced 30 days hard labour for having rum in his possession. In confinement 22 Jun 1840 to 22 Jul 1840. *Absent without Leave from 15 Jun 1846 to 21 Jun 1846. In custody of the Civil Power 22 Jun 1846 to 15 Jan 1847. *Tried and sentenced 4 Lunar months imprisonment. In confinement 17 Apr 1847 to 8 Aug 1847. *Tried and sentenced 84 days hard labour and deprived of 1d. a day for one year. In confinement 2 Jun 1851 to 2 Sep 1851. Discharge date and place 5 May 1857 Chatham. Length of Service 18 years 197 days. Post Discharge Residence Bayswater, Paddington. Post Discharge Pension District 2nd West London. Status/Occupation Enrolled Pensioner Force. Resigned before Jan 1867. Misc. 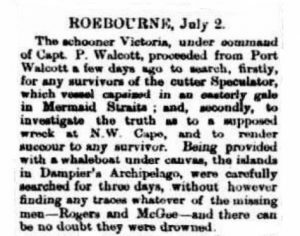 Newspaper Articles Perth Gazette 29 Jan 1864.